Using aloe vera for skin health has been done for many years. Aloe vera comes from the leaves of the aloe vera plant. The gel comes from the inside of the leaves. A leaf is cut open and the yellow film inside is removed and isn’t used. Underneath is the gel, which is also removed. You can buy gel from health food shops and good supermarkets. You can also make your own gel by buying your very own aloe vera plant. The gel you buy is convenient, but it may contain added ingredients. If you decide to make the gel yourself, you may find it a little tricky and time consuming, but it is pure and contains no added chemicals. You can use it daily, by applying it to the affected area. The juice is made from the gel. You can make your own juice by blending some of the gel with your favourite fruit juice until smooth. You can also buy juice from health food shops. Drinking it plain you may find that it tastes very bitter, so you could mix two ounces of the juice with fruit juice or water. Products that contain aloe vera, including face wipes, moisturiser and soap are available to buy. Before buying these products check the other ingredients they contain. Look for anything that could be an irritant or cause a potential allergic reaction. It is best to use organic gel, juice or ready made products. They will not contain any added chemicals or preservatives, making them an even better choice for your skin. 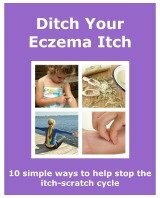 Aloe vera has a few properties that could help you to manage your eczema. Aloe vera also has anti-fungal properties and helps to boost the immune system. It is also full of vitamins, minerals, antioxidants and amino acids, so it can benefit many different health conditions. It is rare to be allergic to aloe vera. The purer the product, the less likely a reaction is to occur. It is recommended if you are pregnant or if you are breastfeeding not to use aloe vera. If you suspect that you are getting an upset stomach from drinking the juice, stop consumption and see if the condition improves. It is uncertain whether it is safe for children to use. Reports are differing. I would recommend talking to your doctor before allowing your child to take or use it. You'll also need to talk to your doctor if you are taking any medications. 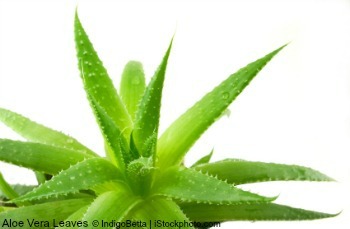 Your doctor will advise if aloe vera could interact with any of the medications you are taking. It seems to be worth trying aloe vera for skin conditions, especially eczema. But with all the goodness it contains it seems it could help with many different ailments. It appears to be a good all-rounder.